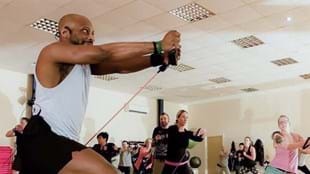 Meet Daren Darby, a UK Instructor whose passion for group fitness led him to switch careers and revitalise the health of underprivileged communities by delivering inspiring workouts. As the waistlines of those in the developed world grow, so too does their propensity for developing type 2 diabetes, cardiovascular disease, high blood pressure and some types of cancer. According to a 2017 report, 39% of adults in developed countries like the UK fail to achieve recommended levels of physical activity or exercise. Of even greater concern is recent research that children from lower socioeconomic backgrounds are more likely to become obese adolescents, and thus experience a myriad of health problems later in life. With statistics like these, we see how vital it is for health clubs to help turn the tide of inactivity, especially among underprivileged communities where the next generation are at risk of becoming overweight before they’re even old enough to join the gym. Enter Daren Darby. Now General Manager for the Soho branch UK luxury health club brand Third Space, Daren’s career in fitness began with his part-time job as a Les Mills Instructor, teaching BODYPUMP™ and BODYCOMBAT™ outside of his nine to five. Daren’s decision to move into the fitness industry full-time was prompted by an unexpected redundancy. “When I was made redundant there was a feeling of, ‘Wow, I didn’t think this would ever happen to me.’ I had a 20-year career in retail with an amazing company and I’d expected to be there forever,” he says. “Teaching classes during that period was my escape. I vividly remember that moment when I turned the music on; for that hour I just forgot about all of the worries I had around redundancy and came alive. Daren initially found employment with a small leisure centre, and from there progressed to the role of General Manager in a brand new facility in East London. Having seen the success of the Les Mills programs in his previous club, Daren was positive that including them in the centre’s offering would be a winning strategy. However, this project was not without its challenges. “When we opened in East London, there were a lot of question marks around whether our plan would work,” says Daren. “This was a really deprived area, with high levels of obesity and diabetes, plus a very broad range of ethnicities and demographics, so I said that group fitness would be a really great way to get lots more people engaged in physical activity. Three years on, the project has proved a major success, with 1,800 group fitness attendances every week and a 98% average class occupancy. It’s also produced a number of inspiring stories of new members who have seen their lives transformed after taking up group fitness. “We’ve seen some unbelievable transformations in people across the community,” adds Daren. When asked about the most memorable class he’s taught, Daren doesn’t hesitate: “Without a doubt, it was when I first opened in East London. “There was a lot of scepticism with me putting Les Mills programs into that area. They were used to freestyle Instructors doing old school programs like kick aerobics and Legs, Bums and Tums. There was a bit of a backlash from local Instructors who were trying to pull it down and say, that’ll never work around here. 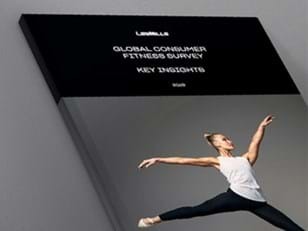 I went with my gut and my knowledge that Les Mills will work anywhere, because it works all around the world. “I taught the first class ever and it was BODYPUMP. I remember thinking, nobody’s going to come. Then I started looking at the class booking list and seeing the spots filling up and the waiting list growing and I thought, yes! This was so the right thing to do. Daren’s belief in the power of the product is partly borne out of his own knowledge of the challenges of creating your own choreography. 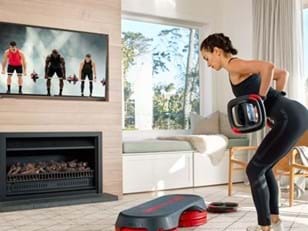 He adds: “Les Mills gives Instructors this amazing platform. They give us great music and moves and videos to learn from, but allow us to be ourselves within that space – and for me, that’s such creative freedom. “When we get group fitness right, it becomes the heartbeat of the club. When the music is pumping and the classes are rocking, you hear people saying, ‘What’s going on over there?’ and wandering across to have a look. There is nothing to beat that energy and feeling of the Instructor saying, ‘Are you still with me?’ and 30 people shouting, ‘yes!’ People want to be involved, and that doesn’t happen anywhere else in the club. Daren Darby has been an Instructor for 12 years. He is based in Essex, UK. He teaches BODYATTACK™, BODYCOMBAT™, BODYPUMP™ and CXWORX™.